Can last season’s ugly duckling becomes this season’s shining light? It is certainly the case with Jordan Henderson of Liverpool this season. The majority of the Anfield supporters labelled Henderson a £20m flop at the culmination of last season, ignoring the fact that he was played out of position by Kenny Dalglish. This season he has been playing his preferred central midfield position alongside a combination of Steven Gerrard, Joe Allen and Lucas Leiva and has improved enough to be receiving plaudits from the Kop faithful and media. It has, however not been easy for Jordan Henderson. He has only started thirteen games compared to thirty-one last season and though this would prove much more frustrating for him than last year, he has been on the bench rather than in an incredibly irrelevant position on the pitch. You would expect a young player to lose confidence with so much time spent sitting down, enough to then remain on the bench for the rest of the season but this has not been the case for Jordan Henderson. Hendo has begun to emit that never-say-die attitude which has shone through this season as he has forced himself back into the starting eleven. The thirteen games he has started have seen Liverpool lose only two, whilst winning five and drawing six (three consecutively in the last month). Regardless of the results, although they are indeed the be-all and end-all in football, it is his performance on the pitch that has begun to impress even the most sceptical of fans. The best possible way to analyse Hendersons performance would not be by looking at how many minutes he has been on or off the pitch or how many goals he has scored, but by seeing how many minutes of play he has between each goal that he has been involved with, both scoring and assisting. Recently we have seen a new statistic doing the rounds on Twitter called Goal Involvement. A truly interesting statistic that compares how many goals players are involved in as percentage of the total their team has scored. For example Luis Suarez has scored 23 and assisted 5 goals this season; therefore he has been involved with 28 of the 67 goals scored by Liverpool. This gives Suarez a goal involvement percentage of 41.8% of all goals scored for the team this season. This is likely to be one of the highest percentages in the league. With Henderson however, his scoring and assisting solely cannot be compared to a striker who has spent double the time that he has on the pitch, so in his case we will be looking at minutes per goal involvement (MGI) which will indicate how many minutes a player is on the pitch before he assists/scores a goal. What this statistic gives you is a fair indication of positive team impact and player performance and also clears the argument of players playing a varying amount of minutes in a season. Using the minutes that the player is on the pitch ensures that it’s an individual performance statistic that can be used to compare against others. So how does Jordan Henderson compare to other midfielders (from the Top 7 Premier League sides) with regards to MGI? We can see Jordan Henderson has performed incredibly well this season giving how little starts he has had. Being involved in a goal every 142 minutes has meant he has even out shone club captain Steven Gerrard, and Red Devils favourite Giggs although Liverpool new-boy Phillipe Coutinho has stolen a little of Hendo’s limelight by having the second best MGI in all of the top 7 teams. One of the greater improvements that we have seen from Henderson this season has been his ability to make swift and efficient forward runs from deep positions. The image below, created using the EPLIndex Tactics Board, illustrates where Henderson started his run from to get onto Coutinho’s brilliant through ball and eventually scored. What all of the tactics boards above have in common is that in each one Jordan Henderson has got involved in play after a making a run from a deeper position. This has been a key feature of his improvement this season and one we hope to see more often next season as he has achieved so much in 13 games (5 goals, 4 assists – tripling last seasons efforts in less than half the time on the pitch). Jordan Henderson has also bettered his season at Sunderland where he scored three goals and assisted four goals. There is one key component of his game has been missed in the tactics boards above and that is his ability to press the opposition. Two of Liverpool’s goals against Newcastle originated from Jordan Henderson pressing the ball. For Sturridge’s first goal Henderson pressed Ben Arfa from a central position back to his own half where Coutinho dispossessed him and created the goal. Then for Sturridge’s second it was again Henderson that pressed a Newcastle midfielder to turnover possession which allowed Gerrard time and space to find Henderson’s run and create the goal. What more does Jordan Henderson have to offer? In 2010/11 Jordan Henderson created 82 chances for Sunderland proving that he does posses a creative side to his game. He was one of the most creative players that season (as the screen shot from our Creativity Top Stats area shows – members only) finishing in sixth place overall. Well you are probably now asking what my point is here? If you look at the stats above 38% of the chances Jordan Henderson created were via Set-plays. Liverpool posses a player that is capable of creating via set-plays. Now don’t get me wrong, Steven Gerrard is brilliant and he creates plenty via set-plays (35% of his 92 chances created are via set-play) but I certainly think Jordan Henderson should be given more chances to put some of his excellent crosses into the box. Want to know how dangerous his crosses can be? His goal against Newcastle, that was supposed to be a cross, was too dangerous for anyone to get anywhere near it. It was Xabi-esque in this execution and I truly believe Henderson should be allowed to take his fair share of crossing set pieces next season. Jordan Henderson has improved leaps and bounds in 2012/13. Though he hasonly started thirteen games, he has contributed an incredible amount in the 1281 minutes that he has spent on the pitch. Hopefully the supporters that have branded him a flop may re-think their opinions after the performances this season and recognise that Liverpool possess a young, determined and talented midfielder that has a lot more to offer in the years to come. Many of you will say it’s a small sample set of games and that he still has a lot to prove, however rather than get on a players back why should fans not support someone who has had a significant impact in albeit a handful of starts? That way he is given the best possible chance to succeed. 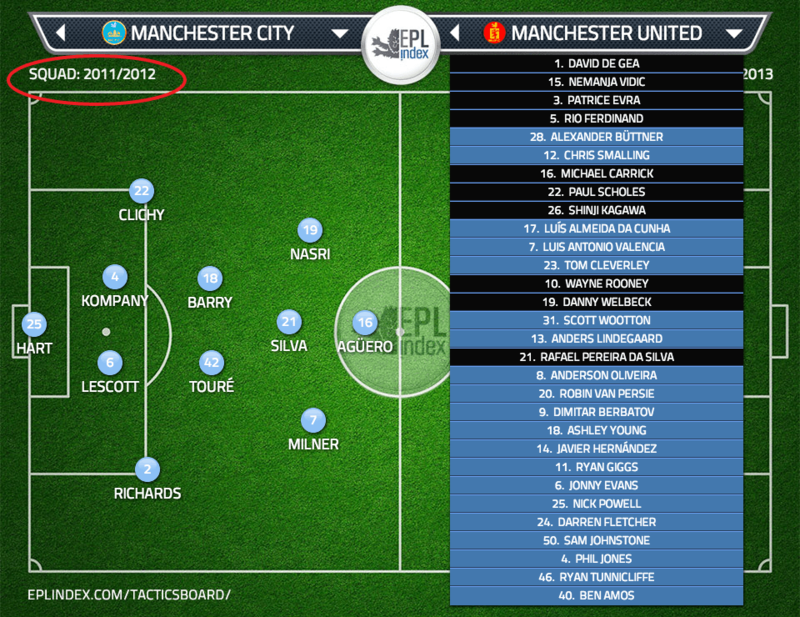 Have you tried our EPLIndex Tactics Board? A FREE tool for tacticians and bloggers! No need to type names – drag & drop players from squads since 08/09. Founder of AnfieldIndex.com - crazy about LFC and numbers! Categories: EPL Index Featured Article, EPL Index Player Profiles, and Liverpool (NN).' 'Tags: English Premier League Opta Stats, English Premier League Stats, EPL, epl opta stats, EPL Stats, Henderson Opta Stats, Henderson Stats, Jordan Henderson Opta Stats, Jordan Henderson Stats, LFC, LFC Stats, Liverpool (NN), Liverpool FC Opta Stats, Liverpool FC Stats, opta, Opta Stats, premier league, and premier league opta stats.